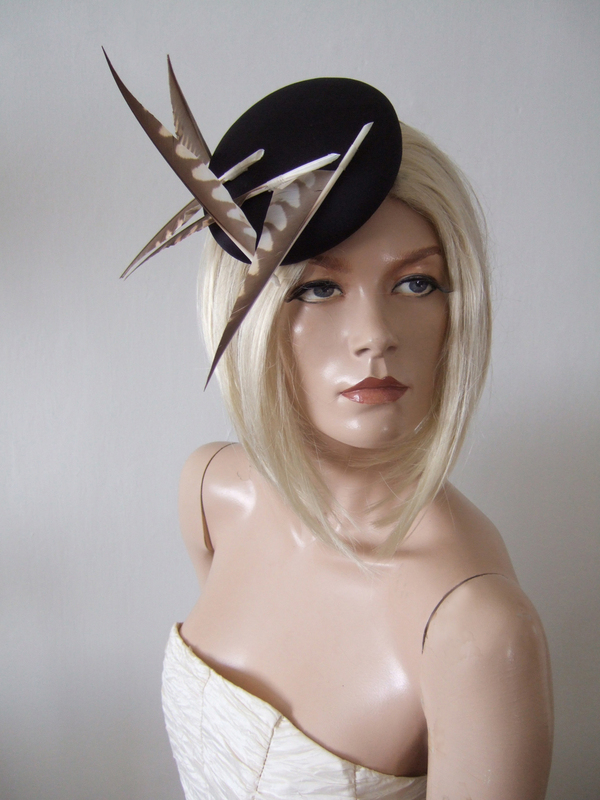 Laura Apsit Livens Headpiece, with Trimmed Falcon Feathers trimmed to Arrows crossing each other down the headpiece, which has a black satin button base. Attaches by wired alice and a comb at back of the button base. Base Measures 5.25" x 5.25", and feather decoration arrangement reaches out further.